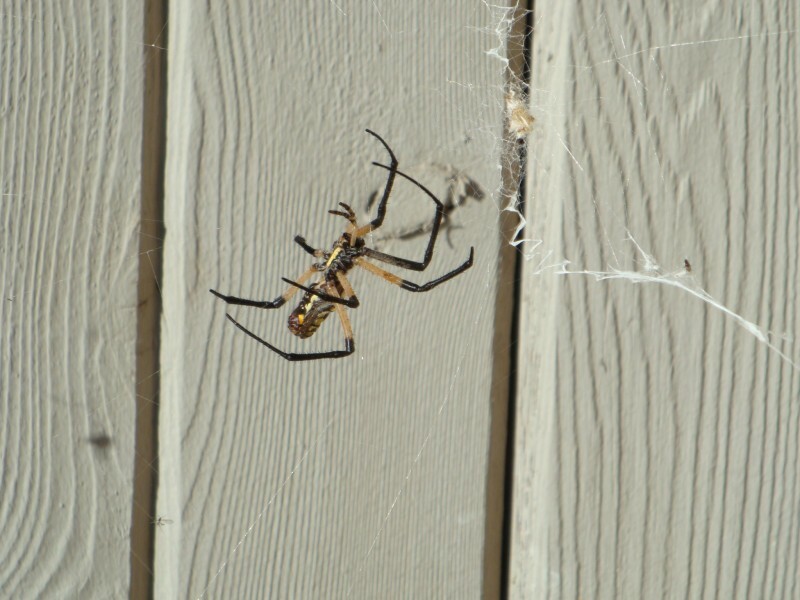 This is a pic of a spider on the outside of my office. I had shown Kat one of my pet spiders that Christi had asked me about that had been wiped out by the wind. This one took its place. « One plant w/different colored flowers? *ewwww* Is he as big as the other one was?? Fantastic photo!